The first Stakeholder meeting of the Marine Biotechnology ERA-NET (ERA-MBT) was a chance to influence the future of the ERA-MBT as it seeks to expand and reinforce the network of researchers, industry, policy makers and funding agencies to support the development of European marine biotechnology. This interactive event was open to scientists, companies, policy makers/advisors and other key individuals involved in or interested in furthering European Marine Biotechnology research and development. Session I: State of the Art of Marine Biotechnology. 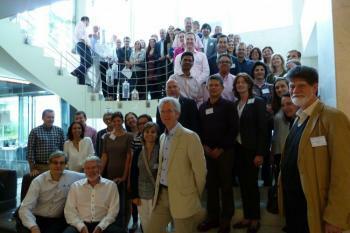 The European Commission and the ERA-MBT consortium presented their perspective on marine biotechnology research. Session II: Where do we go? Following introductory presentations by representatives of the industry and academia, workshop sessions in breakout groups provided participants with the opportunity to discuss marine biotechnology challenges, barriers and opportunities. Session III: Next steps of Marine Biotechnology ERA-NET. This session highlighted some of the main activities that are planned in the four-year project, including how the strategic advice/feedback from Session II and other fora will be used to inform new research calls. This session also addressed the structure and content of the first call. Time was available during the meeting for networking and partnering for project collaboration.